"Fo-ceird Cú Chuluinn bedg ina charpat feissin íarum. Naicc ní i nneoch íarum in mnaí nach in carpat nach in n-ech nach in fer nach in mbuin ocus co n-faco-sium íarum ba hén-si dub forsin chroíb ina farrud. ‘Cumgaim écin’, olsin ven. ‘Is oc do ditin do báis-siu atáu-so ocus bia’, ollsí." "It is Dollud then that will be the name of this bog until Judgement Day," said the woman. Bog of Distress was its name from that time afterwards. "If only I had known it was you," said Cuchulain, "not this way would we have parted." "I can indeed," said the woman; "It is at the final touch of your death I am and shall be," said she. I dreamed last night of the Morrigan, and this morning I was asked to do a workshop about her (them) next month so I thought it might be good to offer a short blog today just outlining some of this year's plans, where I'll be and what I'll be doing. I'm going to Pantheacon next month which is a very exciting first for me. I'll get to meet a lot of awesome people and spend time with some friends, including Stephanie Woodfield who is dragging me out there with her (I haven't been on a plane since I was 10 years old). It will be an adventure. While I'm at the con I'm going to be doing an informal workshop in the ADF hospitality suite, on Friday at 4, about the Morrigan in different myths. I'm really looking forward to it and think it will be a lot of fun, and I'm honored to have been asked to do it. So if you happen to be at Pantheacon and in the mood to hang with some Druids and talk Morrigan, come check it out. 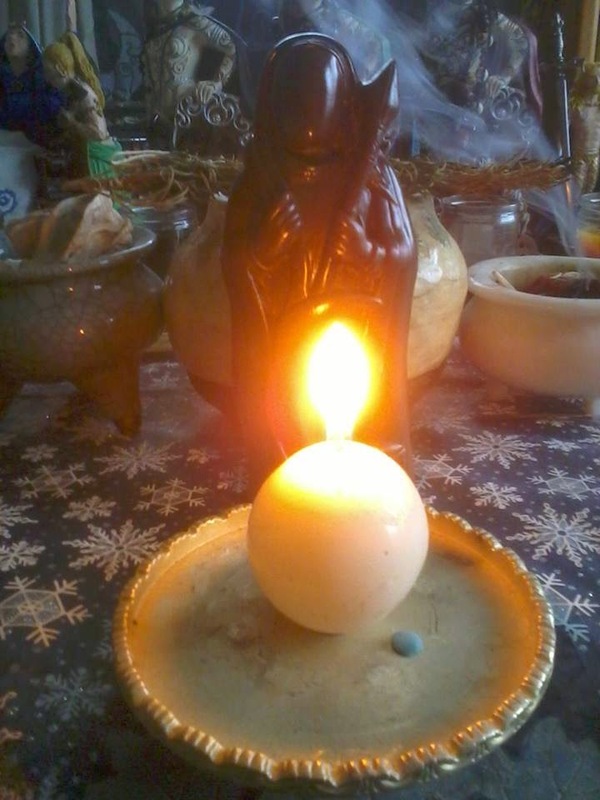 In June I'll be at the second annual Morrigan's Call Retreat teaching a workshop or two and helping with rituals. Last year was amazing and I'm sure this year will be even better. We have Jhenah Telyndru from the sisterhood of Avalon as a speaker and Mama Gina as a musical guest, as well as the usual suspects and some new faces. At the end of October I'll be participating in Seeking the Great Queens: a Sacred Sites Tour in Ireland. It is a sacred sites tour focusing on sites associated with the Morrigan and her mythology and includes celebrating Samhain at Tlachtga. There will be workshops, discussions, and rituals, and I have no doubt it will be a once in a lifetime experience. It's going to be a busy year, and very Morrigan-focused, but I'm excited about it. "Ní accus bith nombeo baid: sam cin blatha, beit bai cin blichda, mna can feli, fir gan gail. Gabala can righ rinna ulcha ilmoigi beola bron, feda cin mes. Muir can toradh. Tuirb ainbthine immat moel rátha, fás a forgnam locha diersit- dinn atrifit- linn lines sechilar flaithie foailti fria holc, ilach imgnath gnuse ul-. Incrada docredb- gluind ili. imairecc catha, toebh fri ech delceta imda dala braith m-c flaithi forbuid bron sen saobretha. Brecfásach mbrithiom- braithiomh cech fer. Foglaid cech mac. Ragaid mac i lligie a athar. Ragaid athair a lligi a meic. Climain cach a brathar. Ní sia nech mnai assa tigh. Gignit- cenmair olc aimser immera mac a athair, imera ingen..." (Gray, 1983). "Something seen is a world that shall not be pleasing: summer deprived of flowers, cows deprived of milk; women deprived of modesty, men deprived of valor. Conquests without a king, pointed, bearded, mouths of many-oaths, sorrow, a lord without judgments*. Sea without profit. Multitude of storms, excessively tonsured, forts, barren of structures, hollow, a stronghold coming from mistakes a devastated time, many homeless, an excess of lords, joy in evil, a cry against traditions, bearded faces**. Equipment decaying, numerous exploits, finding battles, silent towards a spurred horse, numerous assemblies, treachery of lord's sons, covered in sorrow, crooked judgement of old men. False precedents of judges, a betrayer every man. A reaver every son. The son will go lay down instead of his father. The father will go lay down instead of his son. In-law each to his own kinsman. A person will not seek women out of his house. 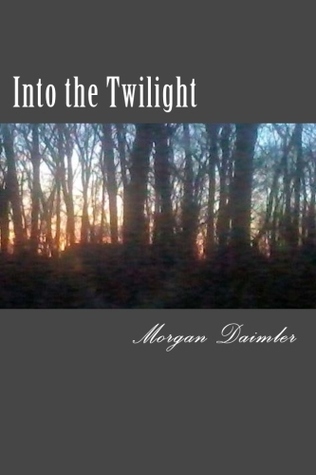 A long enduring evil period of time will be generated, a son betrays his father, a daughter betrays [her mother***]"
Book giveaway for new novel "Into the Twilight"
Last year was a very busy one for me. I had four books published - Fairy Witchcraft and Pagan Portals: the Morrigan through Moon Books and the first two in my urban fantasy series Murder Between the Worlds and Lost in Mist and Shadow (self published); I also had pieces in three anthologies this year. 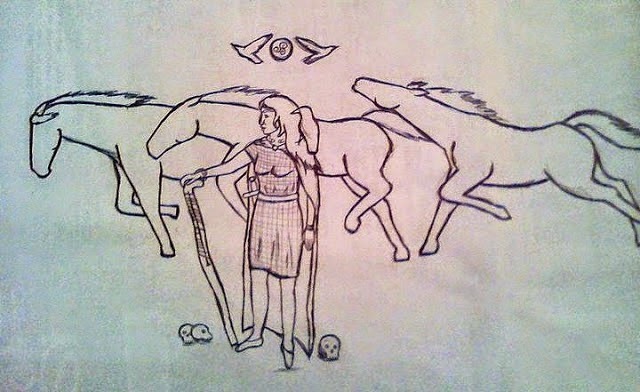 I wrote for the blog as well as guest blogging on Raise the Horns, and writing articles for journals and e-zines, including one for Goddess Pages on the Morrigan. I taught at ADF's Wellspring, at the Morrigan's Call retreat, CT Pagan Pride Day and the Changing Times, Changing Worlds convention. And I had the always fun experience of being a guest on the podshow the New Normal as well as appearing on another podcast, Main Street Universe, where I talked about Fairies. I ventured into the new and interesting world of translating older Irish manuscript material, which I've really been enjoying (and look for more of that soon). And of course in between all those shenanigans was Real Life with children and grocery shopping and bills. Now we are heading into to 2015. I had genuinely intended to make this year a quiet one, but it doesn't look like that is meant to be. My next novel, the third in my urban fantasy series, is coming out at the end of this month, and I have a piece I am writing for another anthology. I have several other book projects in the works as well as articles coming out in the next issues of Air n-Aithesc, Pagan Dawn, and Goddess Alive. I'm attending Pantheacon for the first time this year, and am already scheduled to teach workshops at a spiritualist church, at the second Morrigan Calls retreat, as well as on a Morrigan Sacred Sites tour of Ireland, and tentatively at CWPN's Harvest Gathering. I do plan to keep up with the blog, including continuing with my translation efforts. Hopefully I will be back to my regular blogging schedule now, but I wanted everyone to understand that as my non-blog writing has increased - and as real life demands have taken a lot of my attention - it has gotten harder to give the blog the attention I want. I'd rather not write at all than write when I don't have time to cite sources and give it the quality it deserves. As we move into the new year my goal here, for the blog, is to find a balance between more academic entries and more experiential entries. And to get back on my twice-a-week schedule. So happy new year to you all, and stay tuned.